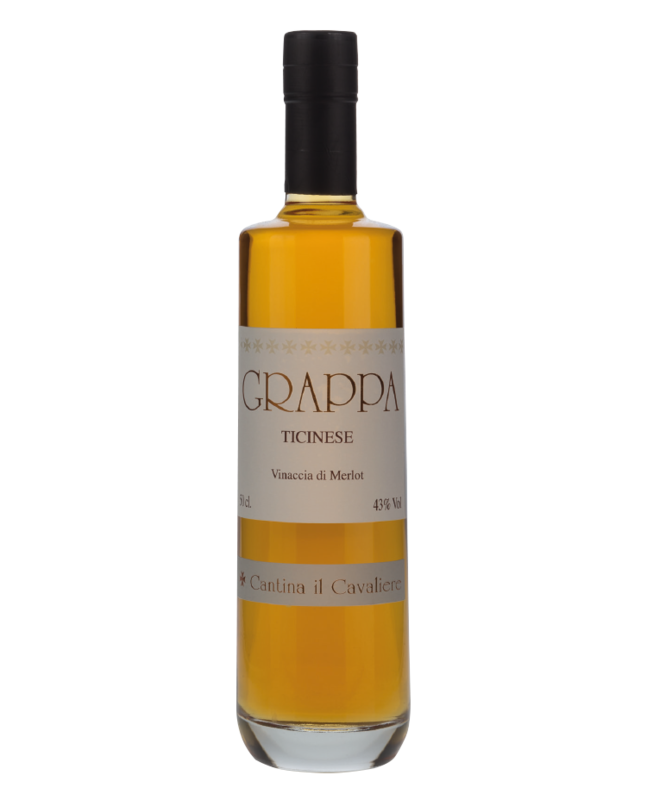 To narrate Aged grappa, amber-coloured, bordering on golden yellow, with a powerful flavour that triggers a soft and smooth explosion of senses. in special and exclusive copper pot stills with a very slow removal of the heads and tails, to allow the volatile components, responsible for fragrances and aromas, to reach the correct evaporation and subsequent condensation. In special crystal glass “ballon” glasses. before tasting, the grappa must rest in the glass for a few minutes; while it oxygenates, the aromas are exalted and the nose-palate harmony is complete. excellent paired with dark chocolate, dried fruit, honey. It can be added to fruit salad, desserts, ice cream or to exalt the aroma of coffee.